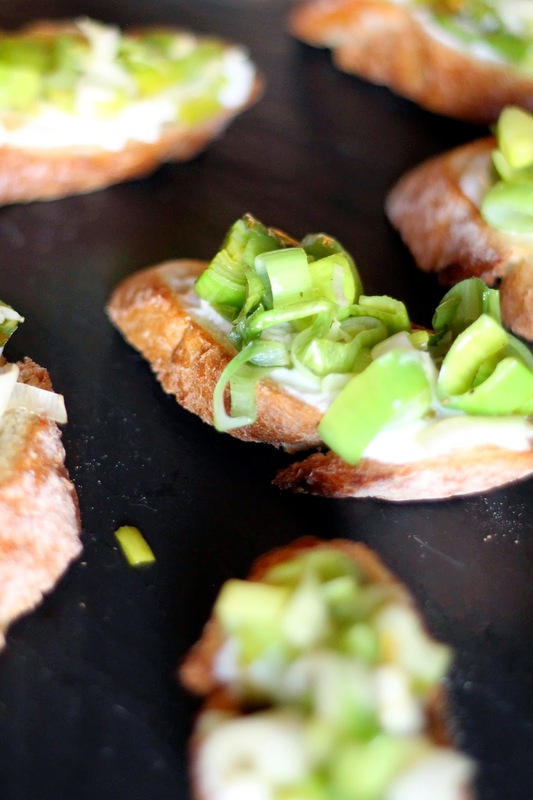 Crostini's are a go-to in our kitchen. 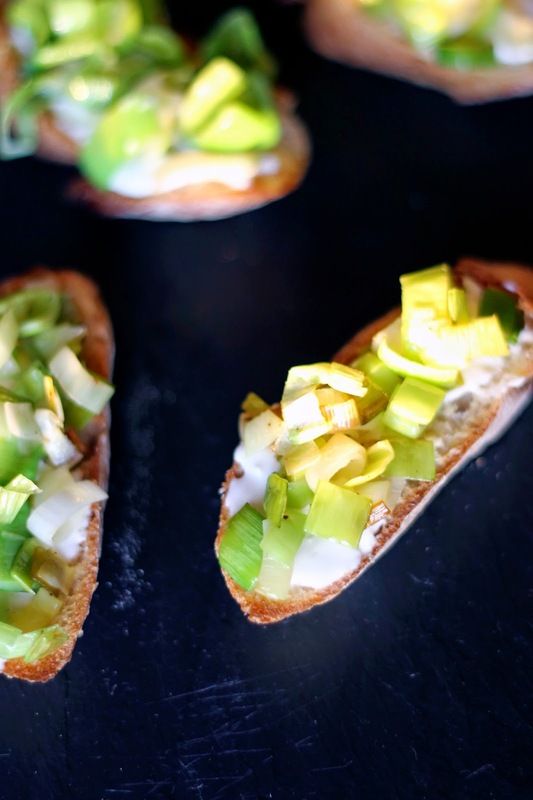 They easily jazz up a simple piece of french bread and can topped with just about anything. 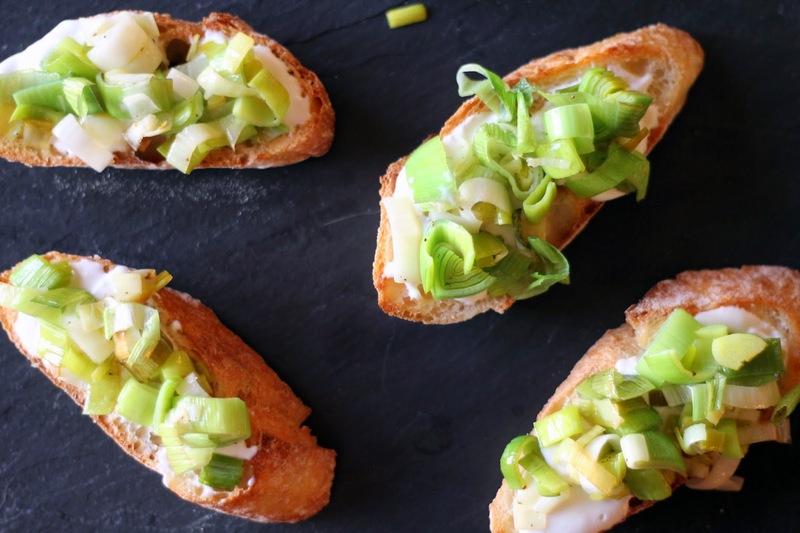 This combination of the almost creamy leeks and sharp goat cheese is delicious. Pair this with a salad and you have an easy light dinner. Place sliced baguette on a cookie tray, and bake for about five minutes until baguettes are crispy. Turn baguettes halfway through cooking to ensure even baking. Heat a small skillet over medium-low heat. Add butter and leeks. Saute for 10 minutes until leeks are soft. You do not want them to brown, just soften. Combine goat cheese and milk in a bowl. Whip together with a whisk until smooth. The mixture will be fairly thick. 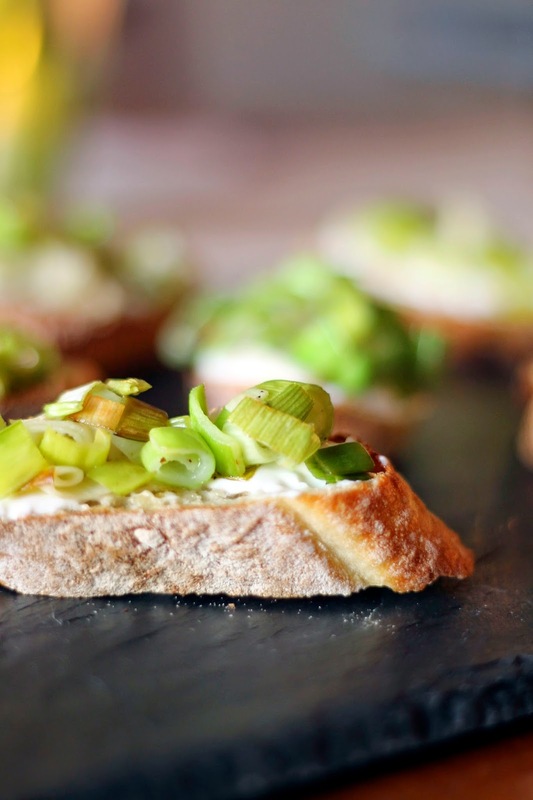 To assemble, place a generous layer of goat cheese mixture onto baguette. 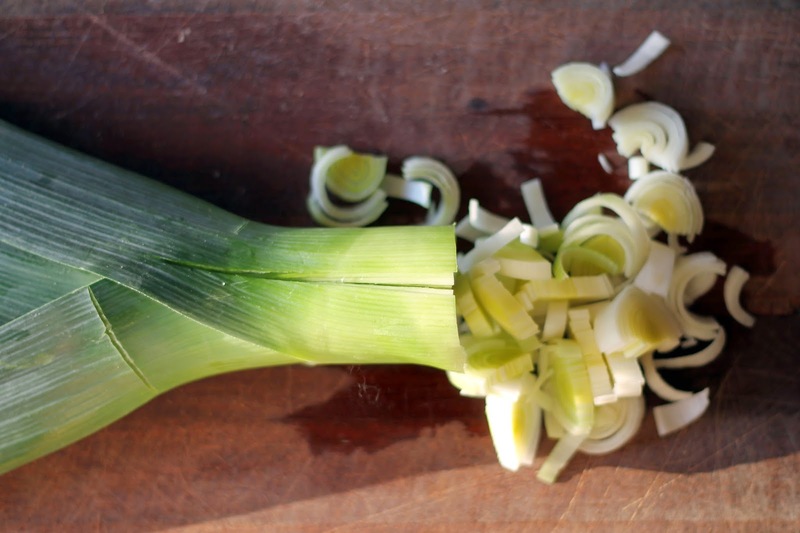 Top with 1-2 tablespoons leeks. Serve immediately.